Charlotte is a lovely qualified cosmetic chemist. She has worked for many skincare and beauty companies. She loved her job but had a desire to make homemade products! So that is what she has done! 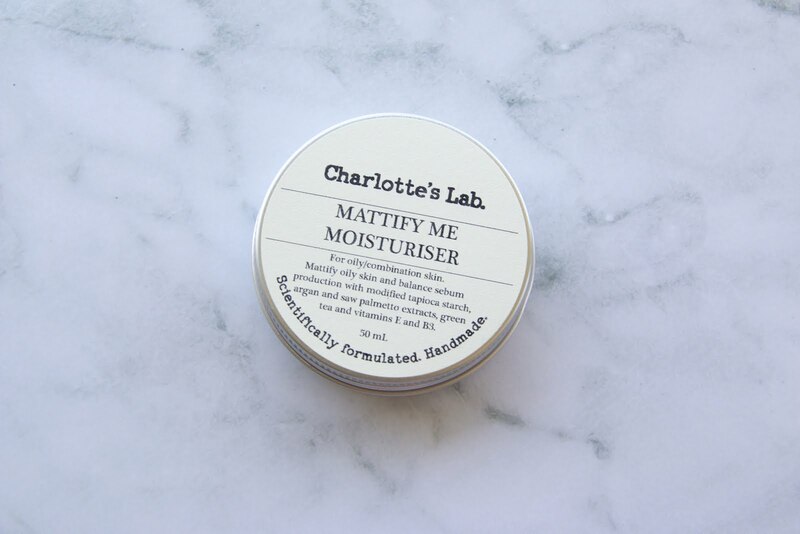 Charlotte has created so many amazing products that have all been formulated, produced and sold by her! I was lucky enough to get in touch with her and I got to test out some of her products! Here are my thoughts. The Charlotte's Lab website is very professional and easy to use! There is facts, an easily accessible contacts page and her products are very easy to find and add to your cart! All of the products that are listed on her website have a description, ingredients and directions listing off them! You know exactly what you are getting yourself into before you even buy the products! There are no secrets and the products are not tested on animals! I was lucky enough to be sent 4 lovely products. The Aloe and Cucumber Body Scrub, the Mattify Me Moisturizer, the Jojoba and Kaolin Resurfacing Mask and the Pink Lemonade Lip Balm. All of these products were packaged very nicely and sent in a neat box. When I first opened the box these were sent in I was already in love with the scent of all of these products! Right away I had to test out each of these products! This is a 2 in 1 treatment. 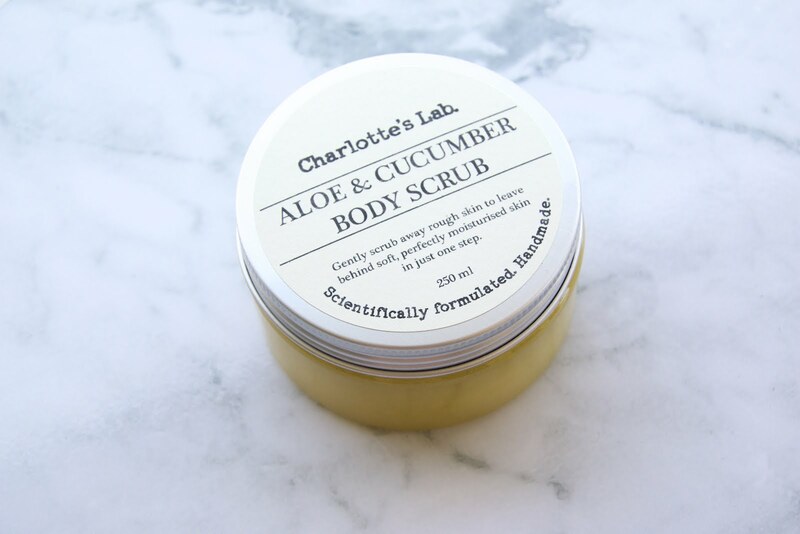 You can use this in the shower as and exfoliating scrub and a moisturizer! I really enjoy using this as it leaves such a lovely moisturized finished! It is never oily or sticky like some other products I have tried in the past! The way I like to use this is in the bath! I apply this all over my body as a scrub and let it soak off during my bath. This has given me the best results! I will continue to use this product and I highly suggest all of you to try it! Even if you have sensitive skin, I am sure this will not irritate your skin. This is an oil free face cream. It contain heaps of ingredients that are meant to be very beneficial to the skin! This has Vitamin B3 in it, which strengthens the skin barrier, reduces redness, regulates oil production and provides anti-aging! This product has many other amazing ingredients but could you ask for a better moisturizer? I really love using this! Especially after the face mask I am about to talk about! It does an amazing job at moisturizing the face and protecting the skin! This is my favourite product I was sent! I am pretty tempted to say this is my favourite face mask I've ever tried! I use this every Sunday, sometimes a few times a week if my skin is feeling a bit dull. I will most certainly be repurchasing this! I will probably buy more than one when I place an order! This is $15 for a tin that has lasted me quite awhile and I am still not finished it! Honestly I can not rave about this product enough! This is an amazing face mask for any skin type! It contains jojoba beads that are very gentle on the skin. These beads leave a layer of moisturizing jojoba esters behind! This masks has really helped with my skin texture and has really improved the brightness and glow of my skin! If you take away anything from this blog post, it should be that you need to try this face mask out!! It is amazing! This is a lovely little pan of lip balm! 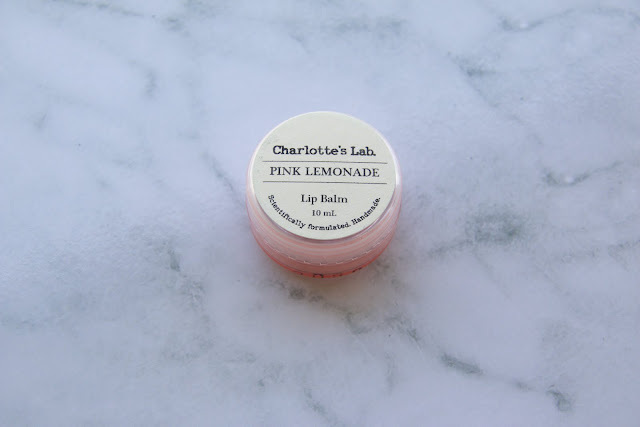 It has an amazing scent and leaves a moisturized lip without all the sticky residue. If you are looking for something to keep your lips forever moisturizer I highly suggest giving this a go! Charlotte has heaps of different scents that are available! My review is that Charlotte is a very talented women!!! These products are so amazing! 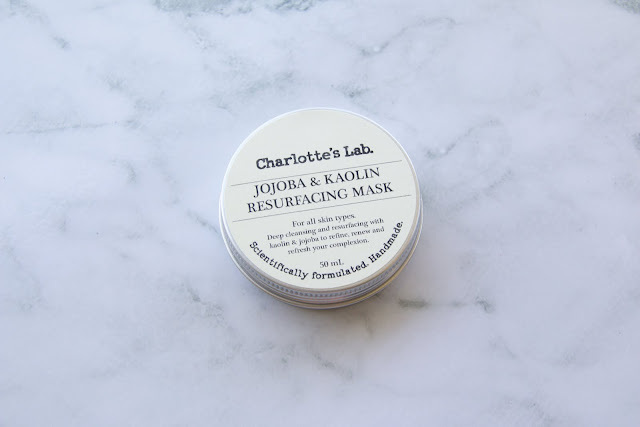 Looking at Charlotte's website I have found a few other products I would be really interested in trying and I am totally going to purchase them when I run out of the amazing Jojoba and Kaolin Resurfacing Face Mask! 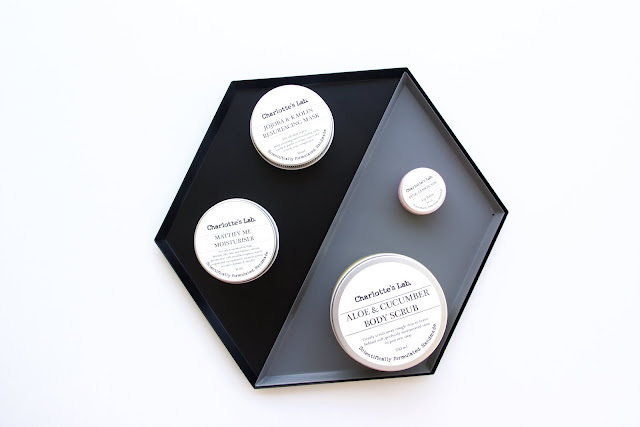 I really want to try out her lip scrubs as the flavors sound like they would be amazing! I am going to try out some of her other body scrubs and hopefully soon a face cleanser! Charlotte has some amazing products and she definitely has a product that would suit your skin and lifestyle! I really hope you enjoyed reading this post as I had so much fun testing out these products and writing up a review! You should go check out the Charlottes's Lab website and Instagram page! Are you going to try something out?